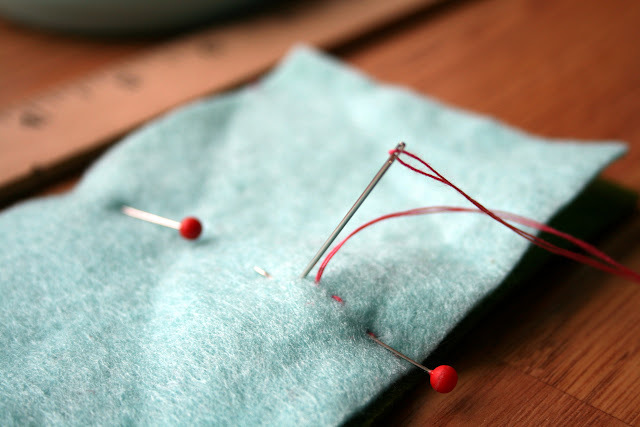 I will begin teaching my 4th session Beginning Hand Sewing class this Friday. I just love this class! The students are kinder through 2nd graders (girls and boys!). I've been learning alot about how to teach this craft I love so much. Keeping the projects simple (with room for my advanced students to grow), and keeping my expectations realistic have been my main focus as a teacher. We use mostly felt for our projects which is so easy to work with and comes in amazing colors. 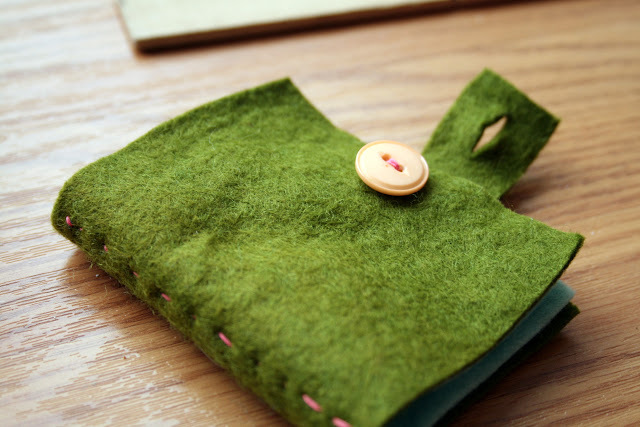 I often start each session (an 8 week course) off with a simple needle book. The kids love being able to create something they can use. 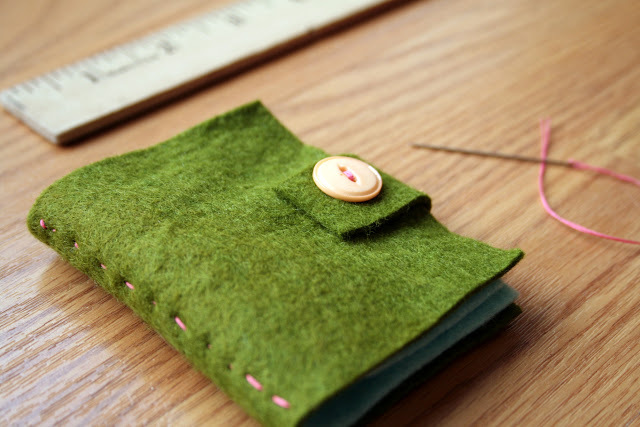 This needle book shows them the importance of using a pattern, how to pin, and of course, the fun part, sewing! 1. We start with a paper pattern roughly measuring 5" x 3". Pin that to your fabric (felt). 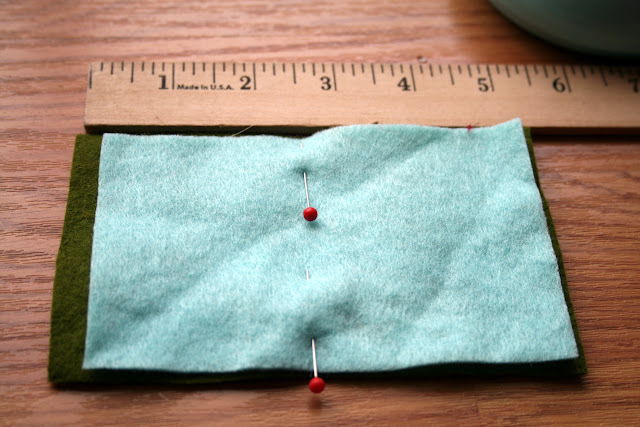 Do this 2 times so that you have two pieces of felt measuring 5" x 3". 2) I cut a small amount off each edge of my inside piece. Then lay one piece on top of the other and pin at the center line. 3. 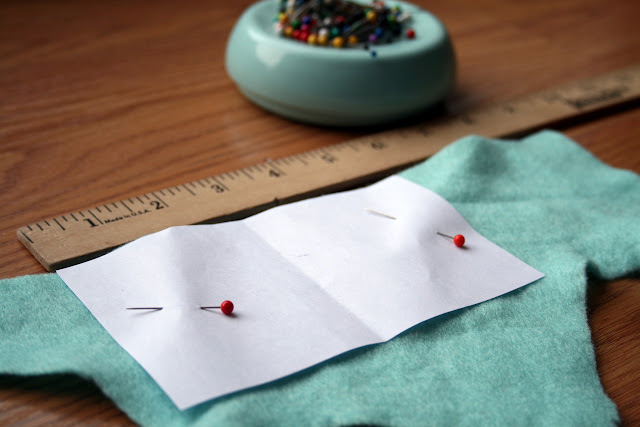 Sew both pieces together at the center line (right along the pins). 4. Cut a small rectangle about 1/2" x 2" out of felt. Sew this to the middle of the outside opening edge. This will be the button hole flap. 5. 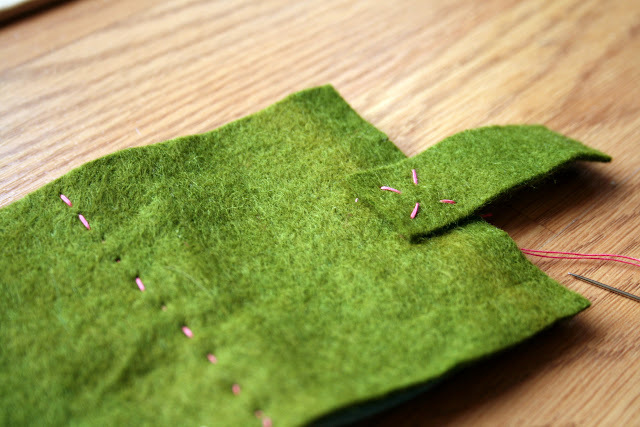 Sew a button on the other top opening edge. Cut a slit in your button hole flap (this is your button hole). 6. Now your book is complete! At this point, any children who get done early can embellish their front cover however they like. 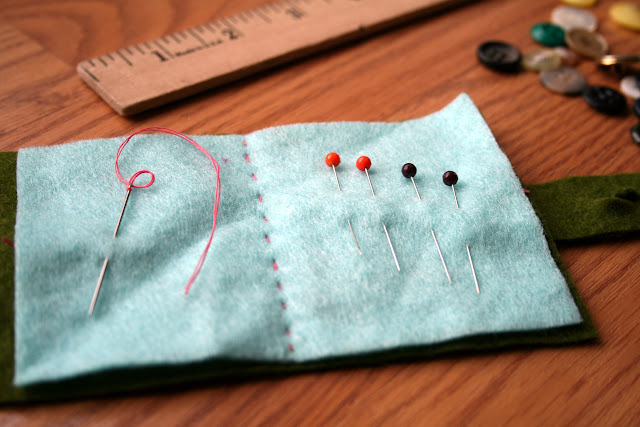 When the book is done, the students get to keep their needle and pins tucked away for next class!